La Terra Trema (“The Earth Trembles”) is the name of the event. On the 23rd, 24th e 25th of November 2007, this event has joined the critical good quality agriculture with Leoncavallo SPA of Milano, that was already place of the Fiera dei Particolari (“Market of particulars”) – t/Terra e Libertà/Critical Wine (“Land and Freedom/Critical Wine”). La Terra Trema is the fruit of the cooperation between Folletto25603 and Leoncavallo S.P.A. (Spazio Pubblico Autogestito). More than one hundred little farms and winemakers came from the whole Italy, farmers and cattle-breeders (especially from Parco Agricolo Sud Milano – Milan Agricultural South Park- and Parco del Ticino – Park of Ticino – two big parks that shape the green belt of Milan) – they offered their products in tasting and in selling: above all wine, cheese, any kind of salami, bread, pasta, rice, jams, honey. During the event, in addition to friendly tasting and direct shopping, there were public conferences with the participation of farmers, writers, journalists, video projections, concerts, cene a filiera zero (dinners with short distribution chain ). – talk about the problems of agriculture and food industry. – a short description about wine-makers and Folletto25603. From 2008 the Wine List is proposed (in some cases also adopted) in others realities, for example: by Leoncavallo, where people can meet, exchange ideas and share all kinds of opportunities, including economical ones; by restaurants and agriturism linked to La Terra Trema project. In this way too, economics are improved, measures become human and the lives of the little change. La Terra Trema is the desire to bring portions of resistance into the metropolis (those oppositions that Luigi Veronelli called “hackers”). La Terra Trema is one form of resistance to the long distribution chain that impoverishes the farmers and enriches the large-scale retail trade. This event is a promotion to little, critical and sensible farmers, and to conscious consumers; a hymn to the rural tradition, to the land/earth and to the territory that must be defended at all costs from the advancing devastation. It doesn’t interest the marketing of the typical product, the logic of the niche gastronomic: few excellences available for few people that can afford them. The preservation of the land/earth and of their fruit is something else. How was the event born? Everything started with the project of the highway Milano – Malpensa, from the mobilizations born from committees, sensible citizens, ecologists, peasants and farmers. In those situations there was the meeting with the farmers, touched on the living spot because that highway had to pass over their land. Close to the mobilization against the highway, step by step, there was the knowledge of other basic themes linked to the farmer’s everyday life: from the problems of the little farm that doesn’t produce income, to the price of milk, to the problems about economics and the subsistence/existence of the farmers. Questions linked to the macro economic dynamics, of course, but producing the closure of the little farms: transformations of the territory, long distribution chain and corporations, product quality, life quality, agricultural area replaced by shopping centre, supermarkets, large-scale retail trade, logistic enterprise… all bringing the conditions of the temporary work (precariato, precariousness), low quality of life and low quality of products. Then, all this became La Terra Trema. 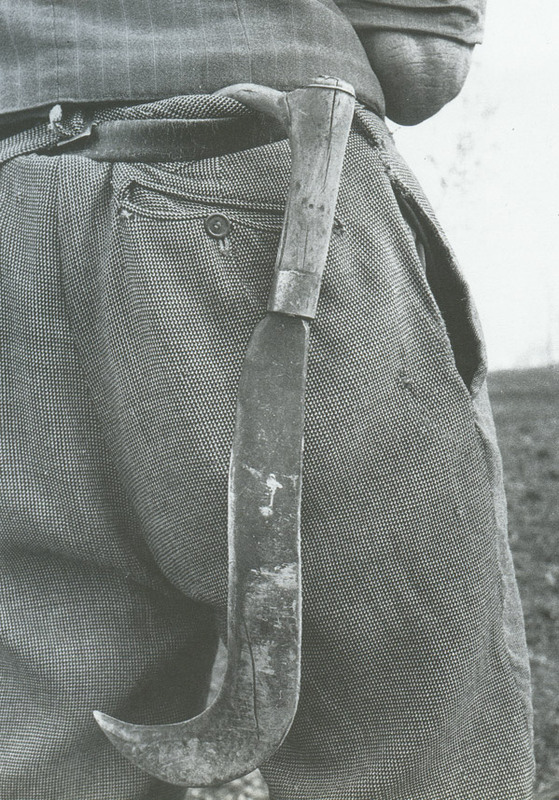 In parallel, in the same years, there was Critical Wine, the feeling shared with Luigi Veronelli to bring the winemakers in social centres (centri sociali, squats), clearing a social subject towards self-managed places and promoting the meeting between resistant places: social squat in the metropolis, farms in the countryside. The first edition of La Terra Trema, in February 2005, when the Critical Wine project was introduced, develops in an old peasant club called (in milan dialect) “Circulòn”, a space in the old town centre of Abbiategrasso (in the province of Milan), born from a mutual aid society of peasants and actually a cooperative society. With this event that place and its history got back its original sense and content. La Terra Trema comes from this piece of land on the borders of Milan and widens, involving territories describing similar resistant forms even when far off. La Terra Trema brings to Milan, peripheral parts capable of keeping territories alive, preventing devastation, traces of a conflictual and live relationship between big town (such as Milan) and the agricultural territory close to the metropolis (peri-urban agriculture). It is an invitation to the territory keepers to temporarily leave their fields to tell their story. Folletto 25603 is a space conceived in Abbiategrasso between 2000 and 2001, as a natural result of various experiences, some of them political, developed in the ’90ies in Milan and outside Milan. The space was a crossing keeper house of the public railways, a little home for a linesman. Now it contains a library (Biblioteca degli Uscochi www.inventati.org/folletto25603/biblio), a free internet point with self-assembled computers. When possible it is open for concerts, publishing presentations, exhibitions, photography courses, cultivation practices. For the narrowness of the space, Folletto 25603 worked hard to create around itself an important social network. Links and relationships (physical and not) open it to the world. Folletto 25603 is a project squat. Leoncavallo S.P.A. (Spazio Pubblico Autogestito) – Self-managed Public Space, in other words a social centre. In Leoncavallo SPA, via Watteau 7, Milano (near Greco). n. 43 from MM3 Sondrio (Yellow Line) or from MM2 Gioia (Green Line). The nearest underground station are: Sondrio, Gioia, Stazione Centrale. from highway A4: viale Fulvio Testi, viale Zara, viale Marche, viale Lunigiana, via Gioia, via De Marchi. from Central Station (Stazione Centrale): via Galvani, via Gioia, via De Marchi.